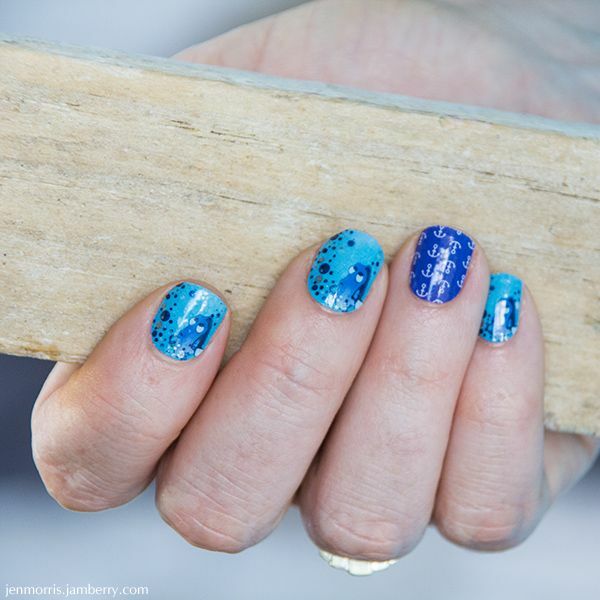 Here are some of the Jamberry manicures I've been wearing lately. 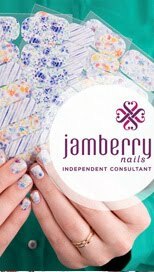 Please contact me if you'd like more information about Jamberry nail wraps, or would like to try a no-obligation free sample. Each wrap mentioned below is linked to my online store where you can purchase it for yourself if you want to. I kicked off spring with some butterflies! 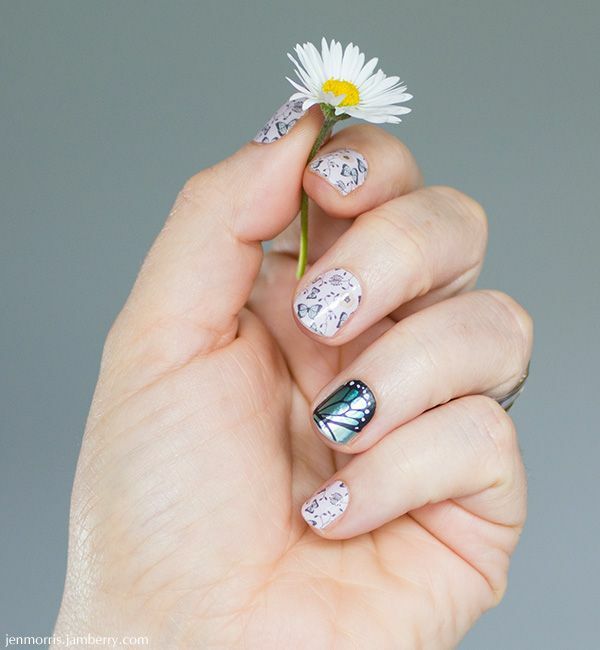 This is Butterfly Garden with Butterfly Bliss on the accent nail. I love the transparent and white patterned wraps - Chantilly is my all time favourite but has sadly been retired. White Romance is similar so I enjoyed wearing it. 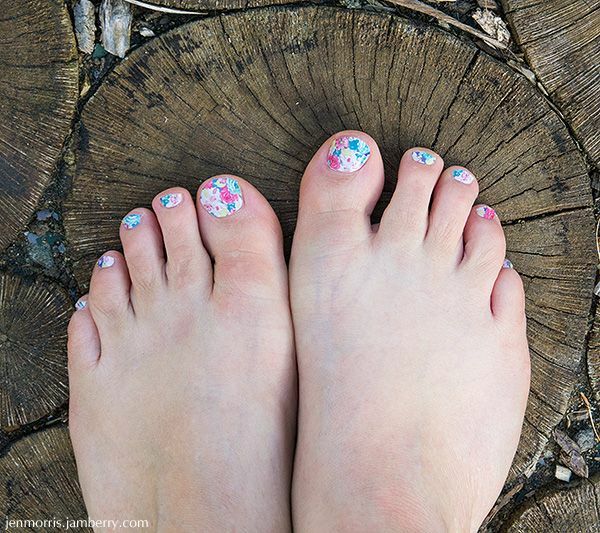 Spring means warmer weather and sandals and jandals (flip flops) so I had to jam my toes! And what better wrap for spring than Water Garden with the pretty floral design. 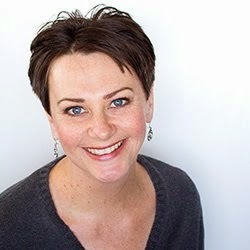 It was so exciting when the Disney wraps launched in New Zealand! I had to sport some Finding Dory wraps - this is Ohh Bubbles! with the blue and white anchor wrap from Sailing Seas on my accent nail. 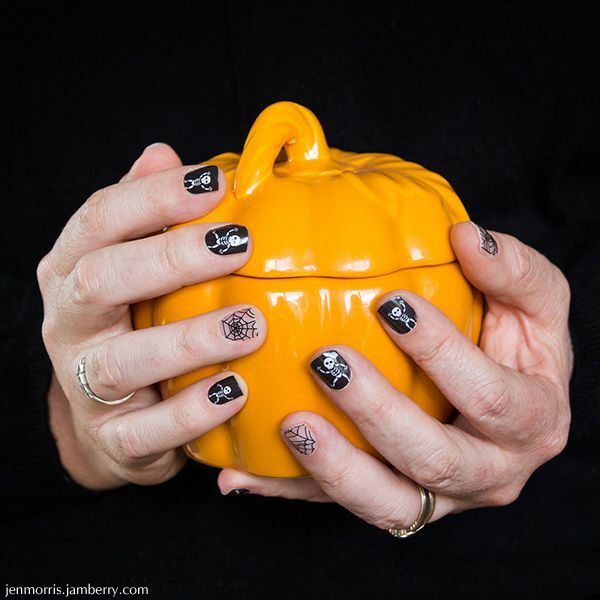 And what better way to wrap up (hehe) October than with some Halloween wraps? I chose Dem Bones out of the Halloween collection. 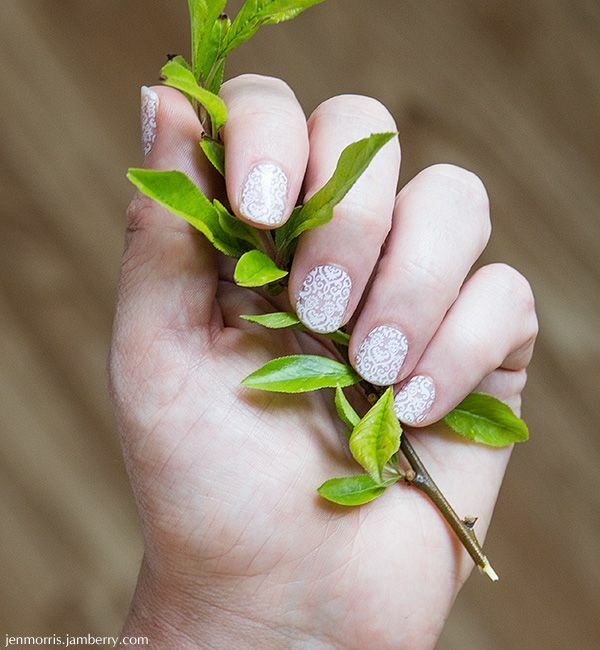 Which jamicure is your favourite? And have you tried Jamberry yourself?